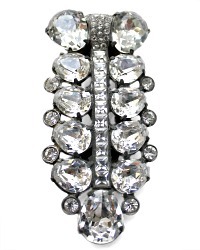 There is nothing like a showy, brilliantly studded Rhinestone Dress Clip by Eisenberg to make you feel like you are wearing something extraordinary. You can't take your eyes off a woman who walks into a room and makes it go WOW! That's what will happen when you put on this glorious sparkler and light up the room. 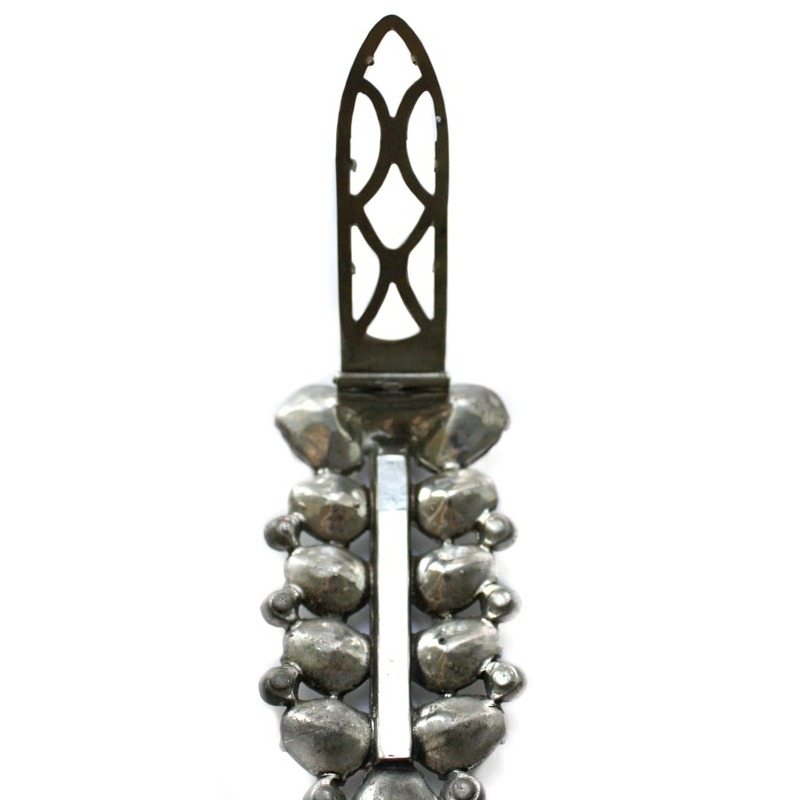 This huge Dress Clip is a gorgeous example of an early Eisenberg piece of jewelry, ca 1935. This design represents the opulence and allure that characterized the company’s style from the mid 1930’s to the 1940’s. 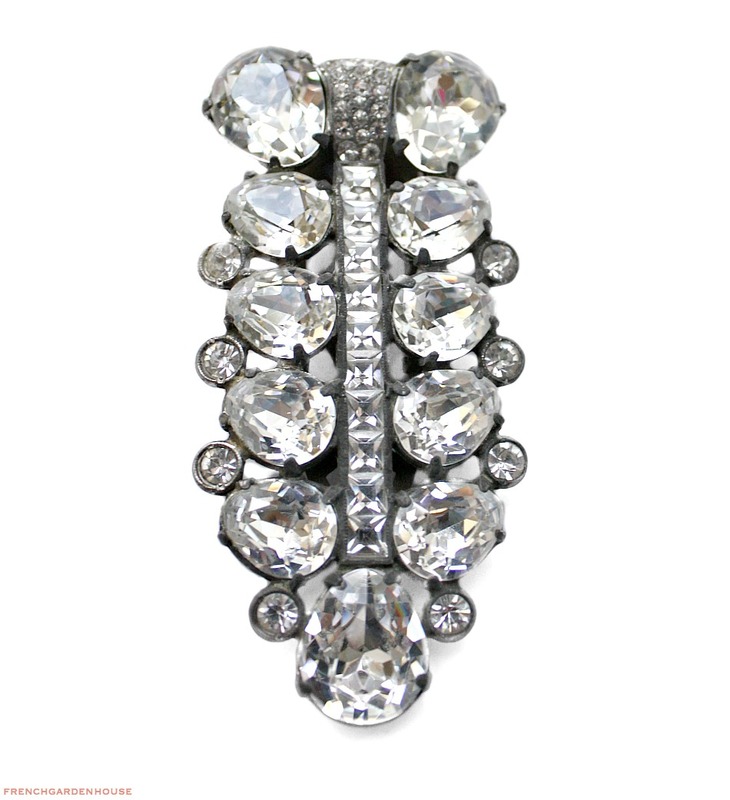 One of the largest I have ever seen, it has sparkling Austrian Crystal Rhinestones, beautifully cushion cut, in what's known as an egg shape, a band of pave set stones and a ribbon of square stones. Divine! Signed Eisenberg Original on the back. 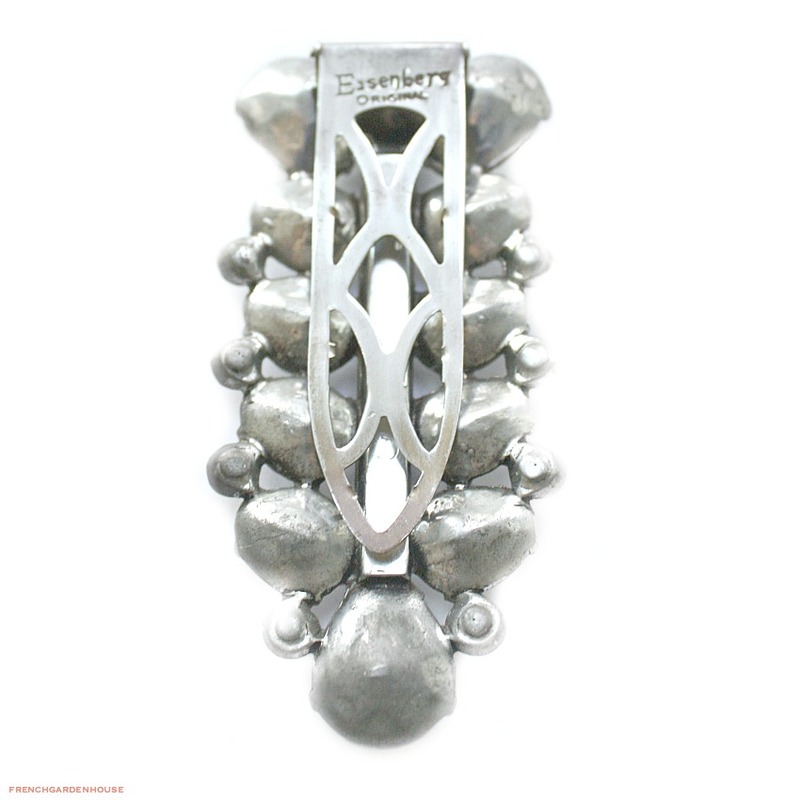 A luxury addition to your costume jewelry collection, or an amazing gift for someone who collects. In good vintage condition, the clip is strong with good pressure. Measures 3~1/2" x 1~3/4".